"Untouchable" 19mm high spec security chain. Actual link diameter: 19.85mm equal to almost 20mm. Unique lasercut end link - enables a wider choice of locks to be used. Highest grade Alloy steel. Case hardened process for maximum strength and security. NOTE: NOW Orange protective sleeve. Squire SS65 Stronghold padlock: High security padlock. 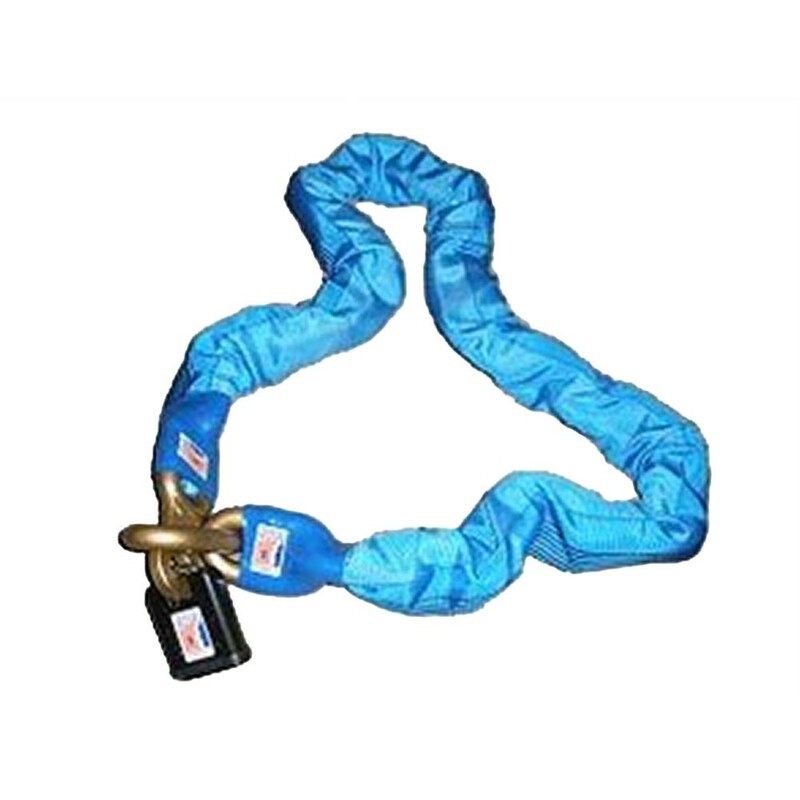 Solid close shackle gives total protection against bolt croppers. Europe’s highest security rating - CEN No 6. Six pin anti-drill tumbler. 250,000 key combinations. Anti-corrosion finish.